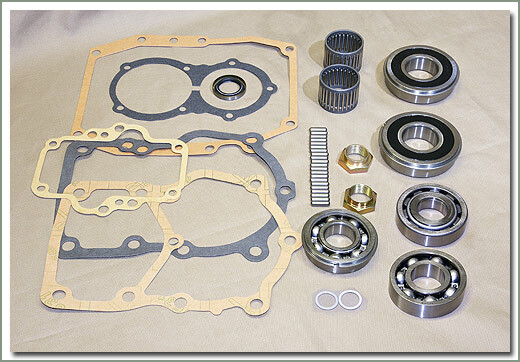 If you are going to overhaul your transmission, Specter Off-RoadTM now offers you a complete 4 Speed Transmission Bearing Kit. 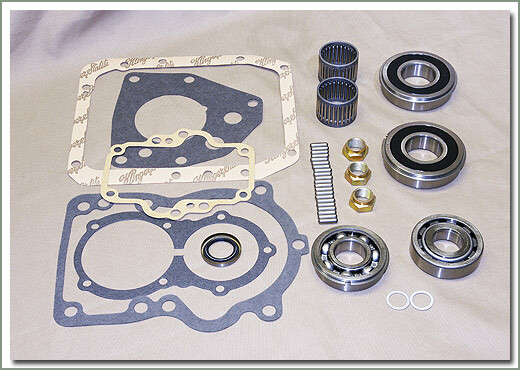 This offers you convenience of a kit and the savings from buying parts individually. 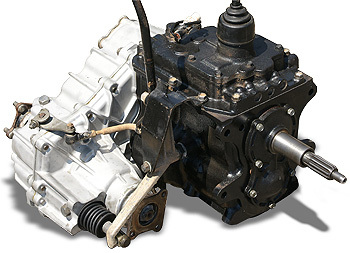 SOR offers a compound low 4 speed transmission with the larger split type transfercase. These transmission and transfercase assemblies have the low 4.9 to 1 first gear ratio and the 1.9 low range in the transfercase. This is a stronger quieter unit than the earlier 4 speeds used in the mid 70's Cruisers. 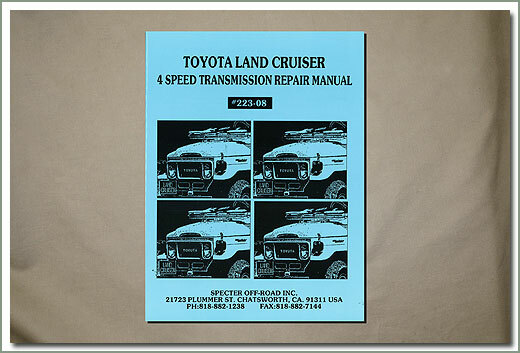 Direct replacement in 8/80-10/82 FJ40. 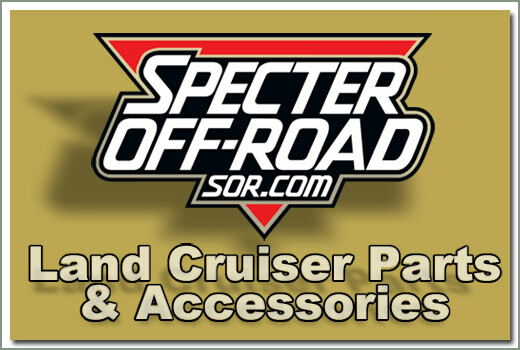 Suitable for the 9/73 and later FJ40 and FJ55 series vehicles as a replacement for the original Toyota 4 speed. Depending on your application, this may require driveshaft length and/or differential flange modifications. Does not have transfer mounted parking brake assembly. These are straight used take-outs. 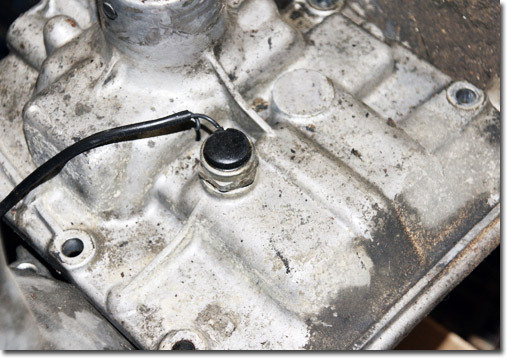 It is suggested you consider changing the input and output shaft seals. 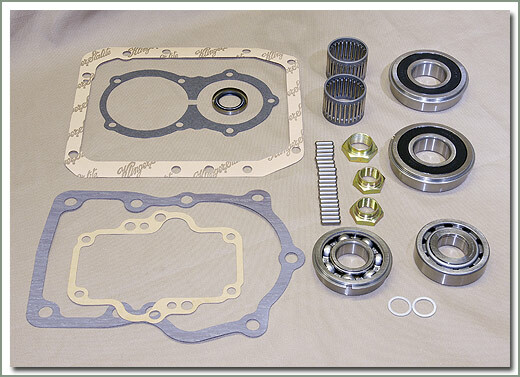 Required parts: 062-57 seal, 068-15B seal, 068-24S seal, 068-27S seal, 068-02S gasket, 068-55S gasket, Qty 2 of 068-13C stake nut, and 070-41C stake nut. See parts listed below. 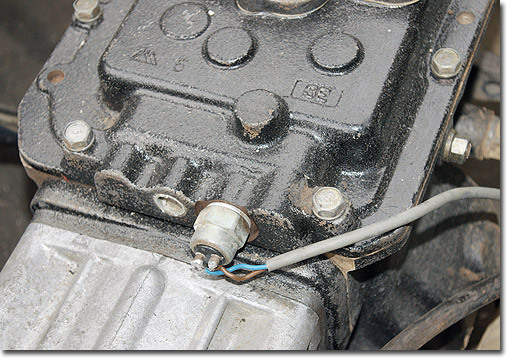 FJ40 and FJ55, 9/73 to 8/80 - Must re-use your transmission shift tower - to avoid having to re-drill transmission shift lever hole in vehicle chassis. Transfercase shift lever assembly will be provided. We suggest you purchase a new transfercase shift knob part number 074-01C and transfer nose cone boot 074-20S separately. FJ40 and FJ60, 8/80 to 10/82 - Must re-use your transmission shift lever and transfercase shift assembly. Fits 8/80-10/82 FJ40 4 speed as a direct replacement. Will also fit pre 8/80 FJ40, FJ45, or Troopy's that would like to upgrade to a split transfercase. 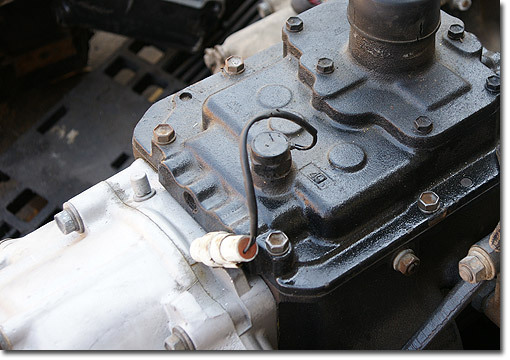 Requires driveshaft modification & reuse of your original transmission shift lever and transfercase shift assembly. 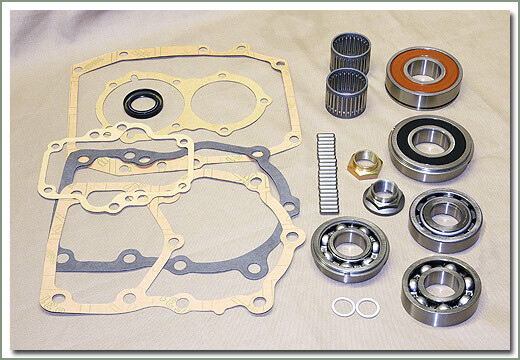 These are straight take outs - Recommend replacement of gaskets & seals, please see page 068 & 062 for listings, ordered separately. Must be shipped by truck. 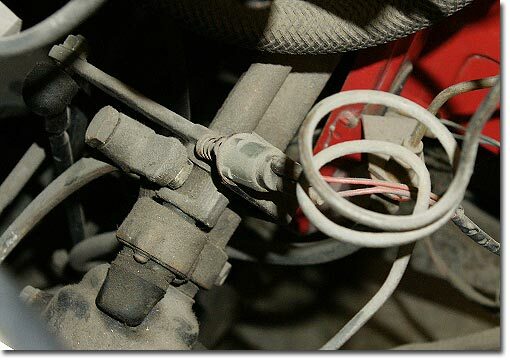 Note: Located just above steering box on steering column. See page 056 Column Shift Assembly. Note: Located on the tower section of the top cover plate. Note: Found on 40 Series. 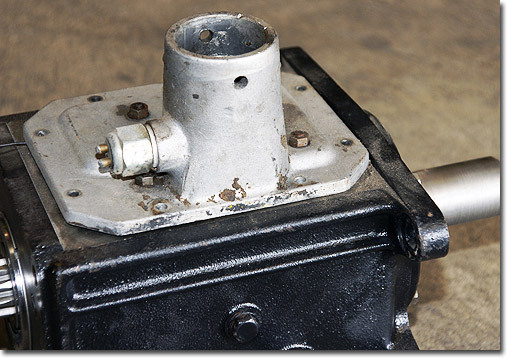 Has one piece transfercase housing. Note: Found on 40 Series. 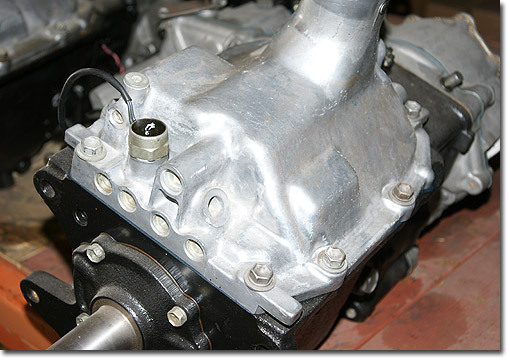 Has split case transfercase housing. Your transmission may have more switches than what appears in these pictures, however the backup switch will be found in the position illustrated in these photographs.